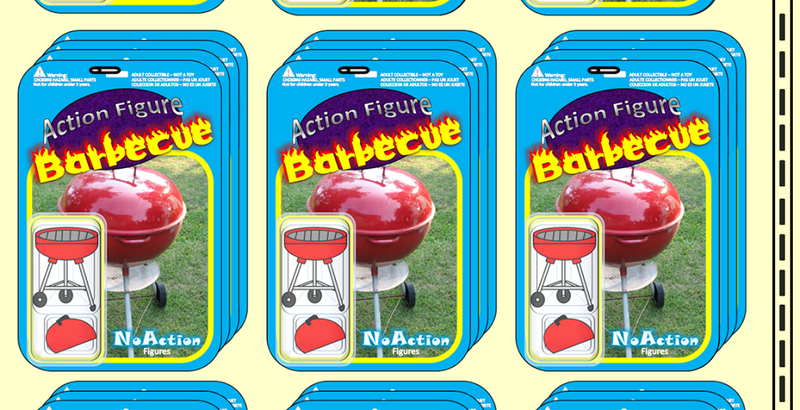 Articulation: Balljointed ankles, boot swivels, double hinged knees, balljointed hips, balljointed waist, balljointed mid-torso joint, swivel/hinge shoulders, swivel/hinge elbows, swivel/hinge wrists, and a double balljointed neck. 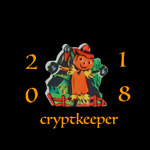 Accessories: 8 interchangeable hands, ghost sheet, 2 knives, tombstone, Jack O' Lantern, Jack O' Lantern top, display stand w/ peg, display post, and storage bag. * This is an excellent classic depiction of Michael Myers. Mezco didn't offer up anything stylized or unique here but attempted to be as faithful to the film as possible. Michael has his famous coveralls on with a black t-shirt visible underneath. He looks fantastic overall and definitely seems like the best looking Michael Myers figure currently on the market. * Michael Myers uses a similar body to the One:12 Collective Joker which doesn't feature as much articulation as the standard bodies. It's still a decent body and it works well for Michael, particularly when you're putting him in simple but expressive poses. The positioning of his legs and feet, doing things like putting his hands in his pockets, and posing his head are all super easy and look very impressive. * The headsculpt, err... I mean mask sculpt, looks great. I've always found that Michael Myers' iconic white mask seems difficult to capture, particularly in toy form. Heck, half of the films don't seem to get it right, do they? This one looks pretty on point, though, and has some fantastic paint work and texture to it. * I really like how the eyes are separate pieces underneath the sculpt. Typically when you think of Michael Myers you probably don't think of seeing his eyes but they are visible in the original film and look quite realistic here. I do think Mezco would have been wise to include an additional portrait with the eyes completely blacked out, giving off a more shadowy vibe, but the work here is exceptional and film accurate. * Michael Myers is wearing simple dark blue coveralls that fit the figure quite well. Now I know there are some of you out there who are probably agitated because Michael Myers' coveralls are depicted as blue here rather than green. Yes, it is true that the actual film suit was green but, like Han's coat or the Xenomorphs from Aliens, what we see on the screen is different from the real-life props due to studio lighting. Even though Halloween aficionados might know that Michael's suit is green, when you think of Michael Myers in your mind I almost guarantee you think of him in dark blue. The dark blue is perfect and the suit has features like a collar that you can pop (cause that's how Michael rolls) and functioning front pockets. * Pull up Michael's pant legs and you can see his Vietnam era Jungle Boots. I actually used to have a pair of these in high school although I didn't know until recently that these are the type of boots worn in the film. Mezco did, though, and they nailed their appearance. * Michael comes with eight grimy, interchangeable hands to swap out for various poses. There is a pair of wide grips/ strangling hands, a pair of open palms, a pair of grips (the right grip is tighter, the left grip is more angled), and a pair of fists. They swap easily and look pretty swell on the figure. 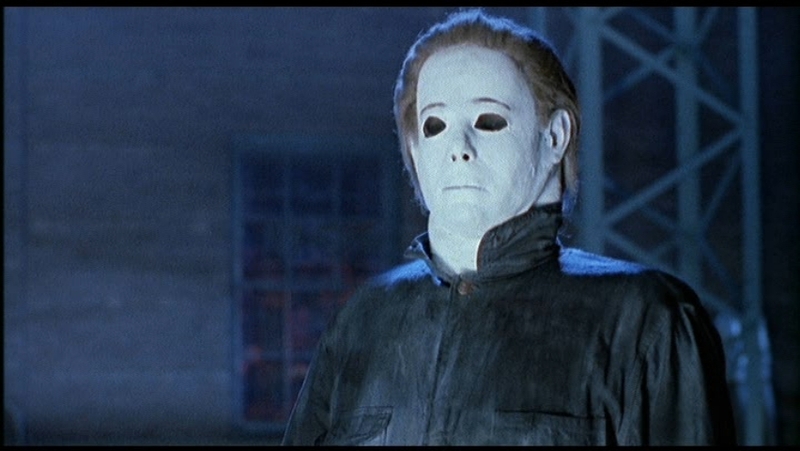 * Unlike Jason or Freddy Krueger, Michael Myers doesn't really have different "outfits." His mask and coveralls vary in minor ways between films, but overall he has one costume with different variations. One of the only different appearances for Michael is the ghost outfit he wears after killing Bob. Hey, it convinces Lynda, right? The costume is actually an alternate head hidden underneath a permanently affixed sheet with Bob's glasses permanently attached to the outside. It looks impressive and definitely is a solid accessory. It's a bit tough to get on, though, so be careful. The package includes a warning to not put any pressure on the glasses themselves as they could easily break. * Michael Myers includes two copies of his infamous kitchen knife. One is a standard version while the second has "blood" covering the blade. It's the most important accessory you could give the figure and it's nice that Mezco gave us a choice of which to display. * Perhaps the most impressive accessory (all of the accessories are pretty good here) is Judith Myers' headstone. It's made from polystone, so it is quite heavy, and it has excellent detail. It can stand on its own on a level surface and features lots of textured wear and tear. * My favorite accessory, however, is the Jack O' Lantern. The Movie Maniacs Michael Myers came with this Jack O' Lantern, too, although this one is a bit more complex. It looks great although it isn't hollow. The sculpting is great here, including some small damaged spots on the pumpkin and the knife slit between the nose and the mouth. The top of the Jack O' Lantern is removable, however, although that is to access the battery housing. Yup! This actually lights up! * Not only does the classic Halloween Jack O' Lantern glow but it actually flickers. It's a cool effect and looks great on display, especially in the dark. * Like the rest of the One:12 Collective figures Michael Myers comes with a display stand. His is emblazoned with the Halloween title and a really cool image of Michael Myers' hand holding a knife next to a Jack O' Lantern. It's straight from the theatrical release poster and it works really well here. * Michael Myers also gets the same articulated display arm that most other figures in the line came with, too. It can be inserted into the included display base where the foot peg is (you just have to remove the peg). You can get some great, secure poses here as the joints are very tight on the display bar and it can absolutely support the figure's weight. The Shape may not be known for being particularly acrobatic, but it's a nice extra nonetheless. * Michael Myers has the standard release Mezco box that is completely collector friendly and the Mezco branded Ziploc styled bag for holding the extra accessories. * I mentioned that Michael's articulation is solid for standard poses but it falls apart for anything dramatic. I really don't like the range of motion here for the arms, particularly the single jointed elbows. Considering that we're dealing with a figure with a soft goods outfit, double jointed elbows are really needed to compensate for the limits the materials places to the range of motion. * The hem of Michael's sleeves have a lot of loose threads hanging off of them. It's a simple QC issue, but one still the same. * The ghost costume is a very cool extra but the material definitely feels kind of cheap as it is already fraying, right out of the box. I don't think this is intentional but just the result of the edges of the sheet having no hem. Michael Myers turned out really well. There are definitely some quality control issues with fraying in places and the lack of double jointed elbows but overall the general look and vibe of this guy is perfect. The accessories are incredible as well, particularly the pumpkin and the headstone. Michael is a Great and a 1/2 figure and definitely one of my favorite releases of the year. He's also a character who hasn't had many action figures made in his likeness, particularly of this quality, so that makes him very appealing to Halloween fans. One thing to keep in mind is that NECA has a Michael Myers coming out as well. It's based on the new film but it looks to have lots of accessories as well, including a light-up pumpkin and a headstone. It also retails for less than 1/3rd the price of this figure. I like this figure but lately I've been feeling like Mezco is charging more for these figures than I want to pay and the price just keeps going up and up. I'm sure I'll be picking up the odd One:12 Collective here and there but this one might be one of the last ones I review for awhile. I couldn't pass Michael up, though. He's too cool. And a great representation of one of the most classic icons of horror. If you're also a fan of Michael Myers/ The Shape/ The Boogeyman, then check out these other reviews: The McFarlane Movie Maniacs Michael Myers, the POP! Movies Michael Myers, the ReAction Horror Series Michael Myers, the Funko Savage World Michael Myers, and the knockoff Lego Michael Myers. Yup! Very, very pleased. My only complaints are that sometimes in the middle I thought it spent too much time on Allyson Strode's friends who didn't seem to overall be important to the plot and sometimes the humor was a little too much. It was funny, don't get me wrong, but sometimes the humor seemed more like what I'd expect in Ash versus the Evil Dead rather than Halloween. Still the highs were very high and I loved it.